The Healthy Community Zones Initiative is a project from Broward Regional Health Planning Council’s (BRHPC) Partnerships Transforming Our Community’s Health (TOUCH) Initiative that is supported by the Center for Disease Control and Prevention’s Partnerships to Improve Community Health Program and the Community Foundation of Broward. The Initiative allows for existing community efforts to scale up and become more effective, while positively impacting the well-being and health of the residents in each Healthy Community Zone. The Initiative utilizes a shared and collective impact approach to design and implement improvements in 4 focus areas including: Tobacco Free Living, Healthy Eating and Active Living, Healthy and Safe Built Environments, and Clinical and Community Linkages. 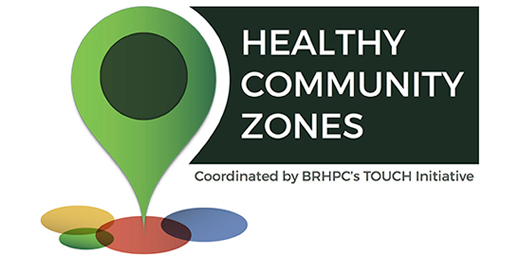 UHP has been the lead technical assistance agency for the Healthy Community Zones (HCZ) project in five communities in Broward, including Sistrunk Corridor, BMSD, Lauderdale Lakes, and Hallandale and Dania Beaches since their inception. UHP has developed the Community Action Plans for each community emphasizing policy, systems, and environmental changes, has supported implementation efforts, is a lead author in the HCZ Toolkit, has organized and provided training and education across a wide range of health-related topics, and has supported engagement and capacity building efforts. UHP also identified, contracted, and trained Community Liaisons (CL) for each HCZ and provided them with ongoing support in their role.